Did they setup the new SAS tubes with a dead end spur going south on 2nd for an easy connection to future phases? Or will there be an endless series of weekend shut downs sometime in the 2020s or 2030s when the MTA attempts to finish of Phase 3? That’s a damn good question. And it seems insane scrapping these expensive machines. Al they had to do was dig out the connection from Queens southbound, which was originally planned, for, and they could have just had he machine dig southbound whenever money was available, taking the rock out by train. I’m not sure you can blame funding for this. it amazes me that with half of the 63rd street upper level not used, that a line was not built from the 2nd avenue turn off down to a 42nd street terminal. With moving sidewalks, this could have become an extended part of grand central terminal with all connections. in queens,linking this to the port washington LIRR (converted to premium subway use) could have given northeast queens real subway access to the city running at no more than 10 minute intervals and taken pressure of the LIRR. It’s back to what we are charged for things here. These little connections and extensions are called “megaprojects.” What would our existing infrastructure be called, if we had to build it today? What’s frustrating is that the TBMs do seem to be faster and cheaper, as advertized. But everything else is so expensive, we’re scrapping the TBMs rather than keeping them running. And yet there are a zillion tunnels people can imagine we can use. I wonder how much the massive cost of ARC and its equivalents is digging the whole, even given that digging the hole would be harder in Hudson mud than in sold rock. It would be called impossible. Figuring costs of $1B per mile of track, and $400M per station, we’re looking at an outlay of about a trillion dollars. I should be rushing to open a bank account before banks close at 5, but instead I’ve checked the proposed costs of the Second System. According to this breakdown, the fully underground lines were $10 million per route-mile, in 1929. In today’s money, it’s $130 million per mile, or $80 million per km. The non-Anglophone range today is $50-500, with projects under 100 or above 250 rare. But: the city was poorer then than it is now. Although construction costs today are the same in (non-US, non-UK) rich countries and in poor countries, real construction costs have been rising over time. In 1929, US GDP per capita was one fifth what it is today. So the affordability of the Second System was the equivalent of $400 million per km today, one quarter to one third what things cost in New York today but higher than what they cost nearly everywhere else. With cut and cover functionally illegal today, Kevin is probably right. Adi wasn’t scrapped. It went to Indianapolis for a sewer tunnel project. Some of the other machines were scrapped due to removal cost and scheduling problems. 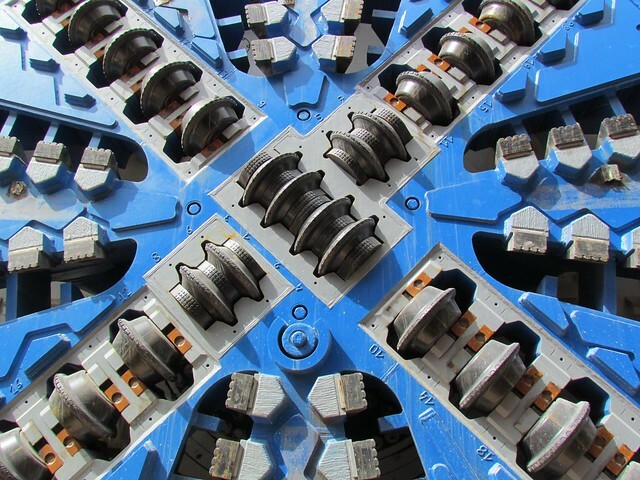 As for Phase 3, they can start by drill and fracture method to build out starter tunnels and build access shafts for inserting TBM components for the main drive. Ben: The 99th st to 105th st tunnel segment exist. Does the launch box at 96th st connect with that tunnel? If not, what is the distance? Yes, the launch box at 96th St will connect to the existing tunnels north of there. I would think that the tracks will be built at least some distance north of the station like what was done at Dyre Ave and Jamaica Center stations. Phase 2 of the SAS, as currently configured, will require only one (potential) TBM run, from 125 to 120, as the rest will be built with cut and cover or is already existent. I wonder if Phase 2 could be done cheaper by subbing cut and cover for 125-120, as the buildings in that area are all low-rise? YES, it’s a very good question. BEN, do you know the answer to it? DID they build a short stub going south from 63rd St., to at least make Phase 3 easier to start when the time comes? The official plan was to have starter stubs left for the phase 3 tunnels. This is easy to do, as these areas have to be cut out for switches by “drill and blast” anyway. Leaving ADI in place wouldn’t have been of much use, as south of 63rd, much of the ground becomes too soft for a solid-rock boring TBM such as ADI to cut through safely. The same is true for north of 105th. The future 105-110th St section will probably be done with a combination of “cut & cover” and “drill & blast”. @wrongway jumper, the SAS will be using the unused portions of both the upper AND lower levels of the 63rd street station. Remember, this is one of those stations where each direction of travel is on a separate level. The Q and the F will have cross-platform transfers at 63rd Street. @Bolwerk Cut & Cover isn’t functionally illegal. They built the launch box for at 96th street using cut and cover. Its just that now days they cover a lot earlier with a temporary concrete decking than they did back in the old days. They used TBMs for these projects because of depth, speed and the sort of rock they were dealing with. i was referring to the 63rd street tunnel under the east river that is used by the F train only, and has unused capacity equal to or greater than the number of E trains that then share the Qns Blvd express tracks with the F. It is a shame for this capacity to remain unused for decades while the east river remains a choke point for queens and long islanders getting into manhattan. They could add a few F running local if Roosevelt Island needs more capacity. My impression was tunnel boring could be used to 14th Street. I’m really frustrated by the finality of all this. While we can celebrate this milestone, it’s not a good thing that there are no longer active TBMs. If we’re to make any more progress in the next few decades, the machines should keep going or at the very least be left in position for easy resumption of tunneling. We’re wasting a huge opportunity to mitigate future startup costs, especially for SAS. I’m also wondering what “dismantled and removed” means. It’s very incomplete information. Really strange to abandon and encass a TBM underground,pretty much making a roadblock to any future construction. I mean in theory they could of had this line continue deep under Park all the way to Fulton Center, right? Maybe even have it continue to Brooklyn and link up with the Atlantic Branch? I don’t know, seems extremely short-sighted. No not really. Especially with a TBM at that depth without a really good study on the rock. The location where that TBM is abandoned has the 4/5/6 tunnels lying right on top. It’s better to leave it there than pull it out as the 4/5/6 will cause decaying conditions on the newly bored tunnel. There are several errors in this article. Phase 2 of the SAS will be done as cut and cover and mining, not tunnel boring. Portions already exist and the rest will be preceded by utility relocation. There is no use for a TBM for that phase due to its closer proximity to the surface. Utility relocation must also happen for Phase 3 before tunneling can begin. Once that is done, then a launch box will most likely be built at Houston Street and 2nd Ave for the next two tunnel bores. One of the reasons the project was split up into phases was so train service could begin before the whole thing was finished. Another reason is the prohibitive cost of doing it all at once. I would like to see a Phase 5 with stations at the IRT Pelham and White Plains Road lines in the Bronx, and Phase 6 to connect with the existing stub end of the IND Fulton Street line in Brooklyn. A correction to your correction: Phase 2 involves mining but north of the preexisting tunnels. You want to see SIX phases? I’m in my late middle age and I somehow don’t think I’ll be here to see Phase 4 get finished. Will this launchbox allow Phase 3 to be routed into the provision at current 2nd ave/Houston station or will it only connect from a new deep level station underneath? Current plans are deep tunnel and no connection to either the IND at Houston Street or the BMT at Delancey. As for going on to Brooklyn in a (very, very) future phase, rather than build another line through the downtown area and hooking it up to the Court Street station, it would be of more use to run it through Red Hook (possibly even with a stop on Governor’s Island), and from there connect it up either with the BMT’s Fourth Avenue line north of 36th Street or the IND’s Culver line west of Seventh Avenue. You sure about that? The Final EIS clearly states a connection to the IND at Houston Street. No connection at Delancey though. The last on I saw was the deep tunnel, with stations at Houston and Grand but no rail connections. But if they’ve changed in the Final EIS I stand corrected (and from a logistical standpoint, the superstructure for the Second Avenue shallow tunnel between Second and Ninth streets is there, but unlike the tunnels north of 96th wasn’t fully completed and was filled in when the project was scrubbed in the mid-70s. Re-excavating that shallow section would make a Houston IND link practical). Is it possible that there is some confusion here? I mean, I believe that when he was talking about a “connection” at 2nd Ave./Houston St., he meant a pedestrian transfer point between trains, NOT a train that would be turning from the Second Ave. line onto the IND line. You’re right. It’s a connection for transfer. Not a rail connection. Just like this new plan avoided the old plan which would have also connected to the Grand Street station changing the platforms from walled to two island cross platform connecting transfers. It’s insane to think the grand plans of yesteryear have been stripped down to the bare bones now. 72nd was originally scheduled to be a 4 track double island platform station to allow for easy transitioning heading uptown between the Q and T. Then it turned into a three track station and finally it got reduced just before tunneling into a two track single island platform station. That sound more like the plan I mentioned in my initial post — the SAS bores would be much deeper than the F’s Houston/Second Ave. stop and the B/D’s Grand Street station, but there would be transfer points, and the final three stops downtown would be Chatham Square, Fulton/Seaport and Hanover Square. Matthew – the original plans had it going into the Bronx… but of course the plans were scaled down. That said… since the Third Ave. El no longer exists the most fair thing in the Bronx would be to have the line connect with the #6 line…. The best option would be to have it somehow connect the 6 and the 4/5 at 149th st. so that people along the 6 line don’t have to go all the way to 125th st. to turn around and transfer to the 4 or 5 to get to other parts of the Bronx – and vice versa. It would make sense that there be a fix for that missing link. Not sure what the designers were thinking back then. Sorry – in my last comment I meant to say connect at 138th and the Concourse… not 149th (meaning – the 4/5/6). So to “right the wrong” this new line should make 2 stops in the Bronx – connect with the 6 at 3rd ave… and then connect with the 2 and the 5 at 149th and 3rd Ave. That would leave out a direct connect with the 4… but ppl on the 6 could make the 2 quick transfers for instance and use the #2 to the westside of Manhattan… They would have to make 3 quick transfers to get to the #4… but it would still speed up the commute for someone going to Lehman College from Parkchester per se. I think the Bx22 would still be faster. Those connections might still be helpful though.